This verse begins by addressing all mankind, in contrast to other verses which address specific groupings among mankind (e.g.,‟O you who believe”,‟O men of Faith”,‟O Children of Israel”,‟O men of understanding”,‟O people of the book” etc.). Certainly those verses that address specific groupings of human beings also carry advice and lessons for those outside these groupings. But let’s assume that Allah does not choose words randomly, but rather chooses in order to disclose specific meanings and to indicate specific import. What follows then, in this verse, is a discourse which affects all human beings - which provides information about human nature and the human condition in general, and which provides principles that can be applied to humanity in general. In this verse, Allah refers to himself as Guardian Lord. Lordship not only denotes a relationship of authority but also one of guardianship, of caregiving, safeguarding, sustaining and of providing for those over whom you have authority. This association of Allah as one who safeguards or one who is a guardian (which is almost a parental relationship) reflects the theme of the upcoming verses which deal with human guardianship over those in our hands - over orphans, and family members. As well, this first verse deals with the creation of humanity as a family with ties of familial relationship with one another. 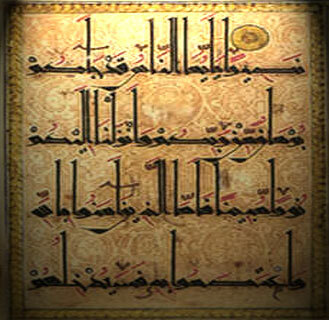 The verse then says:‟Who created you from a single nafs (sometimes translated as soul, self, or being)”. Here it is talking about the creation of Adam and then of Eve (Hawa) who is created of like nature. And from them are created the rest of humanity. According to tafsir Al-Mizan, the word nafs indicates that by which a human is human - in other words that essential part of the very being of a human that makes him what he is. It is that which defines‟human”. Elsewhere in the Qur’an, Allah speaks clearly of the creation of Adam - using the name‟Adam”. In this particular verse, however, and in some similar passages He does not speak of Adam by name. If we assume that Allah never uses words without a reason, perhaps it is worthwhile to dwell for a moment on the word nafs (which is used instead) and its meaning and content when it used specifically to describe the creation of humanity, of all mankind. 38:71 Behold, thy Lord said to the angels: "I am about to create man from clay:"
38:72 "When I have fashioned him (in due proportion) and breathed into him of My spirit, fall ye down in obeisance unto him." Two things happen here. First God creates man from clay - a substance of this earth, of this material world. Second, he breathes His Spirit into man and since this Spirit comes from God we can assume it to be of a very high, noble substance - at the opposite end of the spectrum from clay. So where does nafs enter into this equation? The Spirit, which derives from God, is a reality that possesses, in some measure, all the Divine attributes. It represents a link, a relation and connection to God. Remember, it is only after this Spirit is breathed into Adam that God orders the angels to prostrate themselves before Adam. It is only after this receiving of the Spirit that Adam is given knowledge of the names of all things. The Spirit then manifests in some manner, in some measure, the characteristics, attributes or names of God. It is luminous, alive, subtle, unseen, knowing, unified etc. The body on the other hand, being composed of a low type of matter (clay), has a lack of the luminous divine attributes - instead it represents that aspect of a human which “inclines towards the earth, and follows vain desires” (Qur’an 7:176). So spirit and body do not have a common measure but represent opposite ends of a spectrum - one is like a breath from God who is Unique, who is One. The other is from the material world which is characterized by multiplicity and dispersion, where true unity is impossible due to the very nature of matter which requires existent material things to be separate and apart from one another in both space and time. The nafs becomes the mediator, the meeting point, between the Spirit and the body. The nafs is characterized by opposing characteristics. It is both luminous and dark, high and low. It is a mixture of the two sides. It possesses the attributes present in the Spirit in a watered down manner. Mulla Sadra refers to the soul by the Quran’ic phrase ‟...it is the junction of the two seas....” (18:59) The sea of the spirit and the sea of the material world. The Qur’an says:‟And it is He who has made the two seas to flow freely, the one sweet that subdues thirst by its sweetness, and the other salt that burns by its saltiness....And it is He who has created man from the water....” (25:53-54). The material world is the visible world or the manifest world (the world of the salt sea that burns). The non-manifest world is the unseen world, the world of the Spirit (the sweet sea that quenches thirst). The human nafs is a microcosm containing characteristics of both these worlds, created from the‟water” of both of these worlds. The Qur’an speaks of three general levels of nafs (although gradations within these levels or three phases that the nafs passes through in the process of its own purification. These are the nafs that‟commands to evil” (12:53), the‟nafs that blames” itself (75:2), and the‟nafs at peace with itself” (89:27). These‟signs” manifest themselves in man’s nafs. A person who purifies their nafs to the appropriate degree will witness these signs within their own selves and will also see the outward universe for what it truly is - a manifestation of God. So the world of the Spirit, of the unseen, can become perceptible to man through the purified nafs so that he can witness spiritual realities through the locus of the nafs. Elsewhere, where the Qur’an speaks about the creation of mankind from a single nafs, it calls to witness the‟people of understanding”, again underlining the importance of the nafs - its crucial and central role as the joining place between the unity of God’s Spirit and the multiplicity of the material Universe. The nafs is what makes humans human. It unites two disparate worlds in one location and through this makes it possible for man to draw near to God. It is with the unique nature of this nafs that God created the first human and then its mate of a similar nature, and from these two come all other human beings, all carrying this nafs with all its latent potential within themselves. This is the nature with which mankind has been created - as a creature capable of knowing God through fulfilling the capabilities, the potentials God has placed within him. We are asked to do two things here. One is to reverence God. The other is to reverence the wombs. Because of the manner in which these two are linked, this places a powerful emphasis on the respect due to the wombs through which we are born. It is God who informs us of the rights and obligations due to one another, it is He who sets out the order, precedence, proportion, and organization of these rights and duties and it is our reverence of God that will cause us to respect and fulfil these rights, obligations and duties. Reverencing the womb is to be mindful of familial relationships and the rights due to those from whom you come and also to be aware of the fact that it is through the creation of the wombs that God has created you and all other human beings after the first two. The womb is the locus of human creation in this world. Even Prophet Jesus/Isa (a.s.) was created by God casting His Word into a woman’s womb. Because of this immense respect for the womb, Islam fosters a powerful respect for mothers within its hierarchy. The reverence for wombs is a reminder to be aware of from where you came. This can also be related in a larger sense to the first part of this verse where the first human emerges, in a sense, from a cosmic womb,‟...reverence your Guardian-Lord, who created you from a single nafs,”. We are asked to be mindful of womb relationships - to remember from where we emerged as an individual. And we are asked to be mindful of our creation by Allah - and to remember from where we emerged as a human being. Before man emerged into this world - God asked all the human souls‟Am I not your Lord? And they replied, Yes! Of this we bear witness!’ " (Sura 7:172) The Qur’an reminds us of this pact and asks us, while we are in this world to remember this witness and just as we have to be mindful of the wombs in this world so also we must be mindful of that place from which humans emerged as humans. Just as we are not to cut ourselves off from ties to the womb from which we were born, we should not cut ourselves off from our creation by God. The Sura then goes on to lay out the rights of orphans and our obligations towards them. As for the orphans spoken of in the next verse - they are those who, in this world, have, through no fault of their own, been cut off from the wombs which bore them. So a special mercy is due to them and a special regard to the preservation of their rights is necessary. Their guardian is God, twice over, since they have no guardians, no parents in this world. Note1: There are those who say clay and spirit are both manifestations of God since all existent things are a manifestation of God. Clay represents the left hand of God or, in other words, the attributes of God that distance man from God - sternness, wrath etc. while Spirit represents the right hand of God or those attributes that draw one near to God - mercy, love, kindness etc. Since Adam was created with the two hands of God he manifests all the attributes of God - those of distance and those of nearness. The nafs is where these two sets of attributes mingle and since‟one can only know things through their opposites” (light through darkness, sweet through salt etc. ), the nafs is the focal point of all human knowledge about God. The intellect also shows this division between distancing attributes and attributes that draw one near. When God created the intellect He asked it to turn its face towards him and it did and He asked it to turn its face away from Him and it obeyed. So the intellect also faces in two directions - one that faces God (nearness) and one that faces away (distance). Note2: The treatise on rights by the Prophet’s grandson, details the rights of mothers:‟The right of your mother is that...she carried you where no one carries anyone, she gave to you of the fruit of her heart that which no one gives to anyone, and she protected you with all her organs. She did not care if she went hungry as long as you ate, if she was thirsty as long as you drank, if she was naked as long as you were clothed, if she was in the sun as long as you were in the shade. She gave up sleep for your sake, she protected you from heat and cold, all in order that you might belong to her. You will not be able to show her gratitude, unless through God’s help and giving success." The qur'an delineates three levels for the soul (the nafs, the self). In sura 12:53 it mentions the nafs ammara (the commanding soul). This is the level at which most of us exist. Our self consists of a conglomeration of wants, desires, impulses, habits, fears, angers, appetites, tendencies and an ego that constructs a self image that it then seeks to protect and maintain any way it can - even by distorting the true nature of the realities around it. This is the commanding soul - but it is not one which commands but rather it is a self which is commanded by this host of impulses and desires. It wanders distracted or seeks out satisfaction of its wants and justifies its behavior to itself so that it can continue doing what it does, it tends to trap itself in" safe' (self protective), or habitual, or addictive behaviours. At this stage the person is like a kingdom in chaos where the citizens are habits, desires, fears, moods, impulses, and egoism and all clamour for attention and satisfaction and the self is a slave to them pulled this way and that in response to their demands. Sura 89:27 speaks of the nafs mutma'inna (the soul at peace). This is the level at which, as the Qur'an says, the person witnesses God's signs on the horizons and within their own nafs, their own selves. Their own self (nafs) becomes a place where His signs are disclosed and manifested. When the self is an abode of peace then in the quiet of this abode it becomes possible to witness this manifestation. It is said that God manifests himself in the silences of the soul - so one who is always distracted and busy with the internal noise of desires, passions, distractions, egotism etc. will never be truly conscious of God. In order to listen, in order to hear, one has to be silent. If a person never stops talking, they will never be able to properly listen to another - they will be distracted with their own outpourings, their own opinions, their own ego. They will never reach a point of internal quietude (of peace) and thus that which is subtle will never be experienced. And the qur'an describes God as "The Subtle, the Aware." One has to cease talking, and then cultivate an alert but calm attentiveness in order to see deeper than the surface. Just as the depths of a pond become invisible when the surface water is in constant rough motion, our own depths become invisible when we are in constant agitation and movement. The people of this level know the great Reality behind the world and the endless distractions of this life are seen in their proper perspective - they no longer dominate but yet they are given their proper due. Each of these levels of the nafs represents a phase change within the human being. Each level incorporates a wide range within itself and the spiritual practices, the ritual requirements, the contemplative aspects, the ethical imperatives, the metaphysical teachings of the religion are designed (when approached with the proper intention) to transform the inner substance, the inner structure of the nafs. Anyone who reads the Qur'an is likely to be struck by the unique nature of its construction, its unusual and constantly shifting rhythms and the sudden transmutations and displacements in its subject matter. At first this ever changing literary terrain seems an obstacle to understanding, but the more time one spends with this book, the more organic, the more natural the flow of its words feel. It is almost like flying over an ever-changing landscape - rolling valleys punctuated by jagged rocks, forests and plains giving way to upthrust mountains, high plateaus broken by deep lakes, deserts sprinkled with oasis' and cleft by canyons. Despite the variety of the forms, despite the startling contrast of adjacent features, a complex organic beauty underlies and unites all the various elements. These "tafsirs" emerged from numerous brief scattered notes made while reading the qur'an (along with the available commentaries and the works of numerous scholars) and reflecting on its content.